The Common Core can be intimidating. It's like a blind date. You're familiar with the situation, but the variables are different. You don't quite know what to expect, but you definitely have navigated these waters before. I've been blindly dating the Common Core for a while now, and I think I may have come up with activities that target some of the aspects. Now, many of my activities target many different standards. I'm hoping that highlighting this one standard will show how you can find standards in all the activities! Work on attributes using this activity! According to the Common Core Standards students should be able to "Define words by category and by one or more key attributes (e.g., a duck is a bird that swims; a tiger is a large cat with stripes)." 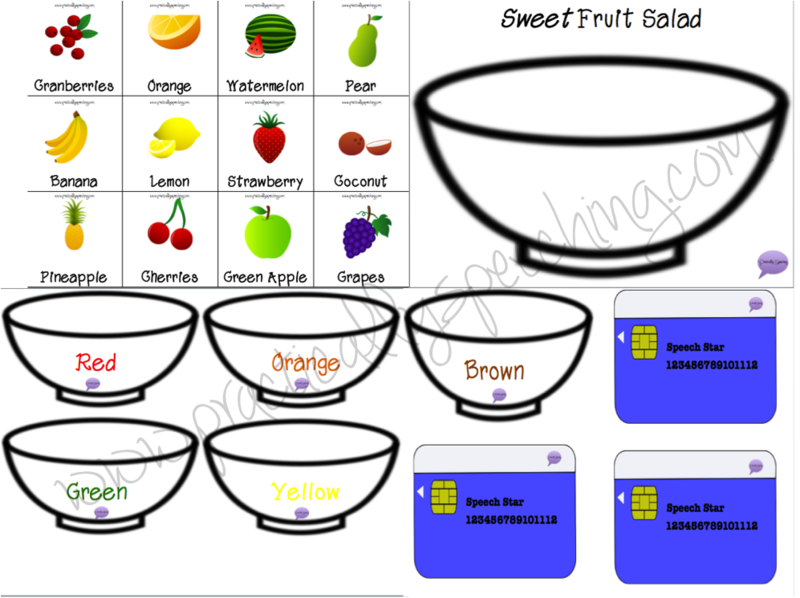 Teach this important skill by making a fun fruit salad! 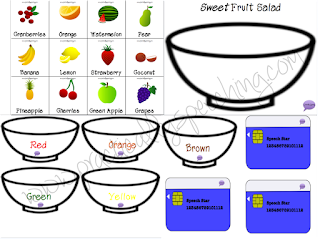 Have your students pick out what fruits they would need to make their fruit salads. So, if they have a red bowl they pick all red fruit. To make it a little more game-like, have students pile what they need into a printable shopping cart and then use their “credit cards” to check out!